New album, "Adaline" now available! 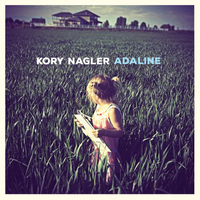 The fourth studio album by Kory Nagler delivers melodic songwriting with nods to the 60's era folk and the British invasion, while also incorporating early American roots and country music sensibilities. Heartfelt, original rock and roll is in full force on Adaline. Kory's debut CD, "All The Good Boys", his second album "The Reverend and Terry Moon", and third album, "Greetings" are also available. Follow the links below, or in the store to download this music for free, or purchase your own hardcopy! The forth studio album by Kory Nagler delivers melodic songwriting with nods to the 60's era folk and the British invasion, while also incorporating early American roots and country music sensibilities. Heartfelt, original rock and roll is in full force on Adaline. The heartfelt, melody driven, original rock and roll in Kory Nagler's third studio album, "Greetings", delivers a soulful energy through diverse songwriting style and potent musicianship. Kory Nagler's second album, The Reverend and Terry Moon, is a colorful array of original compositions which tackle multiple genres with style and expertise. Drawing from the likes of The Beatles, Elvis Presley, Bill Withers, and Willie Nelson, the songs are both fun and dark, yet always thought provoking. Joined by expert drummer and songwriter Tom Miller, Nagler has produced a record as eclectic and genre bending as his debut, All The Good Boys. Recorded in Seattle by pedal steel guru Kevin Suggs, the songs carve out the soulful and sometimes painful truths of the human experience. Featuring an Oasis cover dressed in Alt-Country flair, The Reverend and Terry Moon is an exceptional collection of songs bursting with originality, yet paying homage to the greats who no doubt inspired these heartfelt compositions. The diverse and energetic debut album featuring 15 original songs, "All The Good Boys" is a must have for any music fan. Original, melodic songwriting is executed consistently with heartfelt and honest lyrics, each song showcasing genre-bending instrumentation. A fusion of Rock, Soul, Country, Folk, Blues and Gospel, this album attempts to deliver a new vision of what music can be. Timeless and without defined borders, "All The Good Boys" is a journey worth taking. Playing back the organ track. Kory Nagler, rule of thirds.